We are helping people through some of the most important decisions of their lives. Selling a company is both a professional challenge and an emotional roller coaster. We bring a team-based approach, decades of collective experience, an empathetic perspective and a will to win. We structure our engagements so that we are sitting on the same side of the table as our clients; a great outcome for us is a great outcome for them. I enjoy being a trusted advisor, working with great entrepreneurs and management teams, and driving results for our clients. I’m passionate about helping people reach their goals. Hugh is the head of Cascadia’s Business Services practice, focusing on the rapidly-evolving service-based economy. His focus areas include professional services and commercial/industrial services. Hugh originates and executes M&A, equity placement and advisory engagements. He has worked with a broad variety of family-owned and entrepreneur-owned companies across the U.S. and internationally. He also leads Cascadia’s debt placement practice, focusing on coverage of bank and non-bank debt options (subordinated debt, ABL, unitranche, venture debt) for middle market companies who are seeking debt capital. 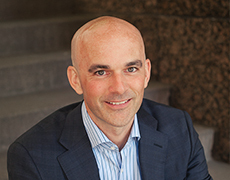 Hugh Campbell is a Managing Director and head of Cascadia’s Business Services practice. Before joining Cascadia, Hugh worked for IB Partners, a South American boutique M&A firm, where he executed mid-market M&A transactions throughout Latin America. Prior to business school, Hugh worked for a micro credit fund in Central America and previously spent three years at Wachovia Bank. Hugh holds a B.A. in Economics from the University of California, Santa Barbara, and an M.B.A. with Honors from the Wharton School at the University of Pennsylvania. MBA with Honors from the Wharton School at the University of Pennsylvania. Member of the Board of Directors, evo.com. Member of the Board of Directors, Summer Search Seattle. Avid surfer (has surfed in 11 countries around the world) and outdoor sports enthusiast. Father of three daughters, husband of an entrepreneur.